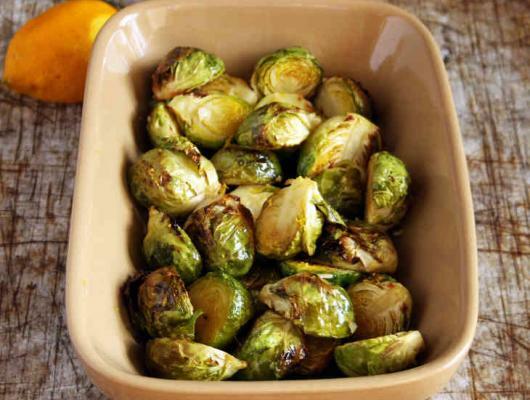 Slice the Brussels sprouts in half and place in a bowl with the unpeeled garlic cloves. Add the olive oil and toss well to coat. Spread on a baking tray and bake in the oven for 25 minutes. Remove tray and pick out the garlic cloves. Set the sprouts aside to keep warm. Squeeze the soft pulp out of the garlic cloves then mix in with the warm Brussels sprouts. Season with salt and serve with finely grated lemon zest. 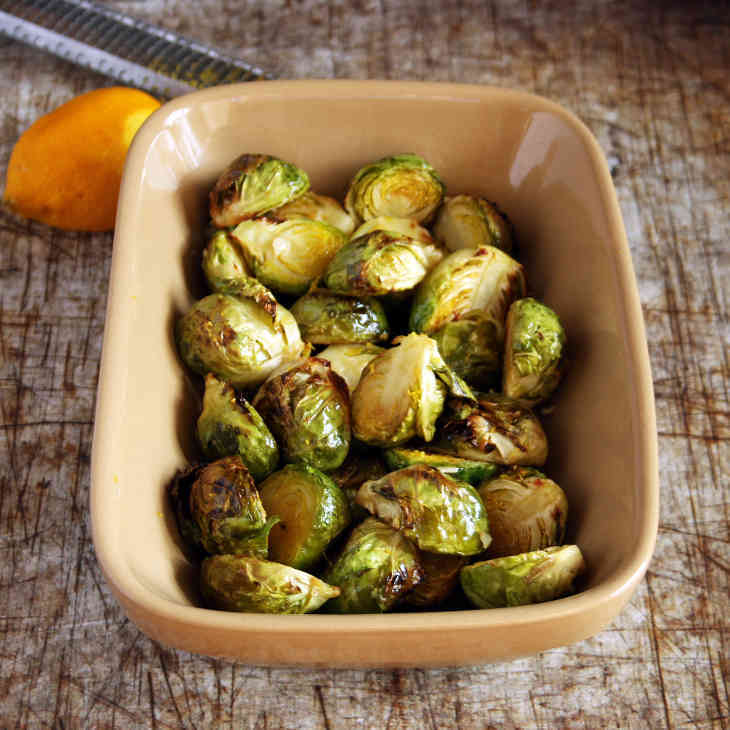 DESCRIPTION: And the award for the best autoimmune protocol side dish goes to…this AIP garlic-roasted Brussels sprouts recipe!